Eiko 18-Watt T8 G13 2-Pin LED tube offers 1800-Lumens light output. It has color rendering index of greater than 80. This LED tube color temperature rating of 4000K to ensure optimal light level in the surrounding. LED Tube in frosted finish, has polycarb envelope. 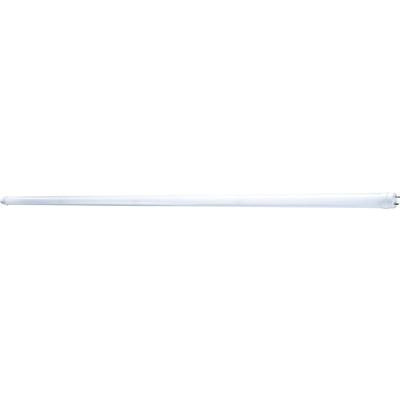 This LED tube has voltage rating of 120 - 277-Volt AC. It measures 48-Inch x 1.1-Inch Dia. LED Tube has average life of 55000 hours. It emits or distributes light at beam angle of 150-degree. Tube is ideal for use with non-shunted tombstone lampholders, commercial, conference rooms, hospitality, education, healthcare, retail and residential. It withstands temperature rating of -40 to 40 deg C. LED Tube is UL/cULus/cURus listed and FCC certified.